Alex Rodriguez was inching ever-so close to the elusive and ultra-exclusive 600 Home Run Club when he entered the July 22nd, 2010 game against the Kansas Royals at Yankee Stadium. With the score tied at four runs apiece in the bottom of the seventh inning, Rodriguez came within one home run of 600 when he took a Robinson Tejeda pitch over the right center field wall for his 599th career home run. Rodriguez used this very Louisville Slugger C271L model bat for his go-ahead and 599th career home run on July 22nd, 2010. This bat displays moderate game use and is un-cracked. There are ball marks and cleat imprints present on the barrel. 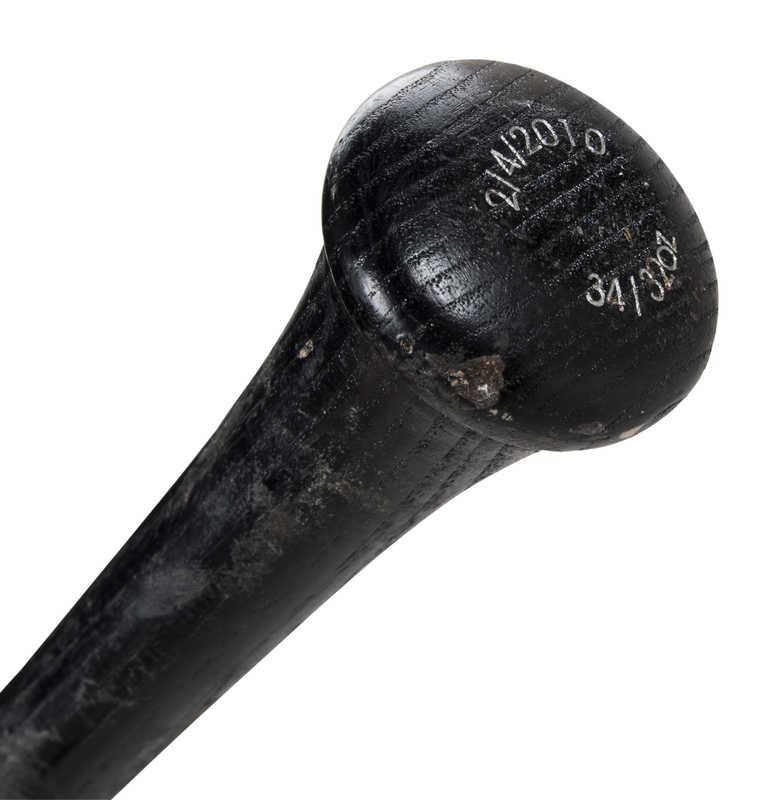 There is a coating of pine tar on the lower handle and “2/4/2010” and “34/32oz” is stamped on the knob, indicating the date of manufacture, length and weight. 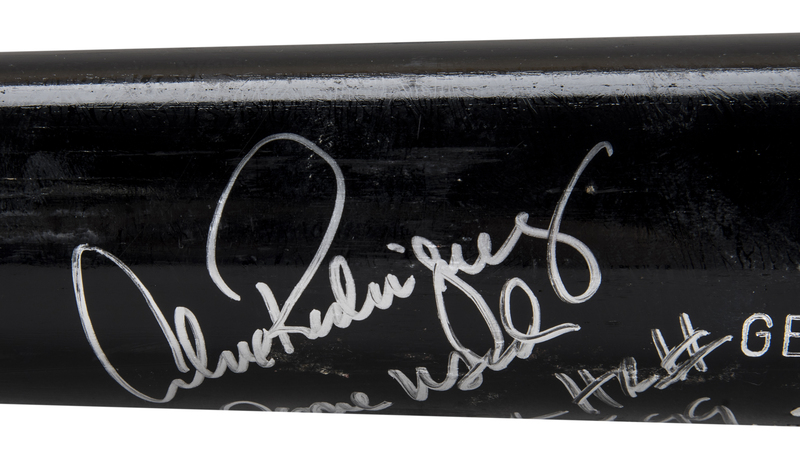 Rodriguez has signed his name on the barrel in bold silver marker and inscribed “game used Career HR #599 7/22/2010”. 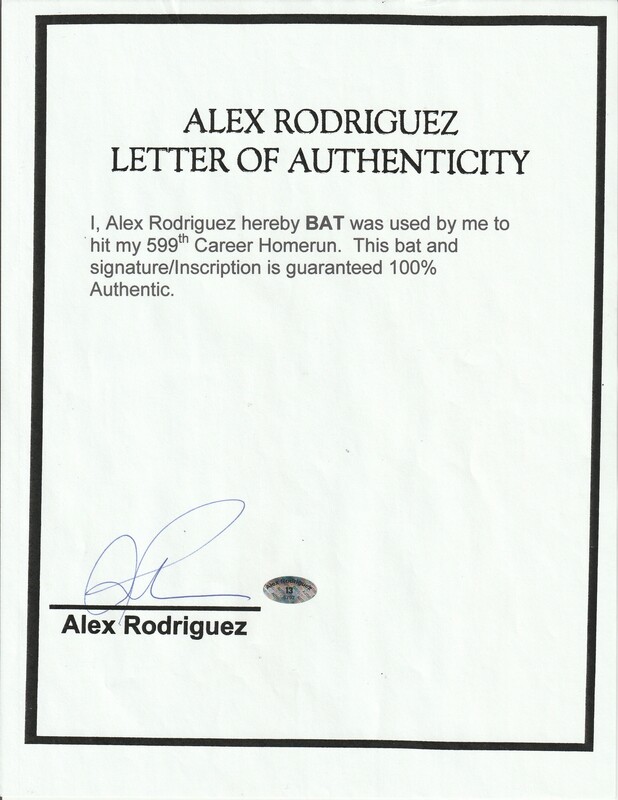 This is a terrific Alex Rodriguez gamer specifically authenticated to not only a home run, but a significant home run. 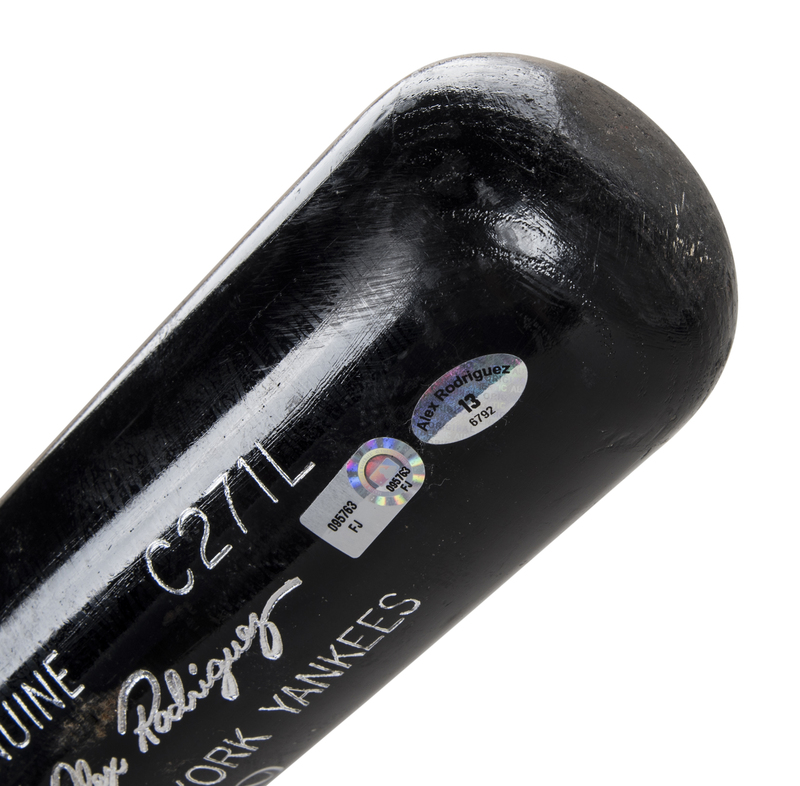 This bat comes with a MLB Authenticated hologram (FJ095763), which authenticates this bat’s use by Rodriguez for his 599th career home run off Robinson Tejeda on July 22nd, 2010. There is also a LOA from Alex Rodriguez with “Alex Rodriguez 13” holograms on the top barrel and the LOA with the ID #6792.